Rammers compress the ground materials by striking the surface with weight and force while Plate Compactors use consistent weight and vibration to compress the base material. Both of these machines achieve the same results but use different methods to achieve it. 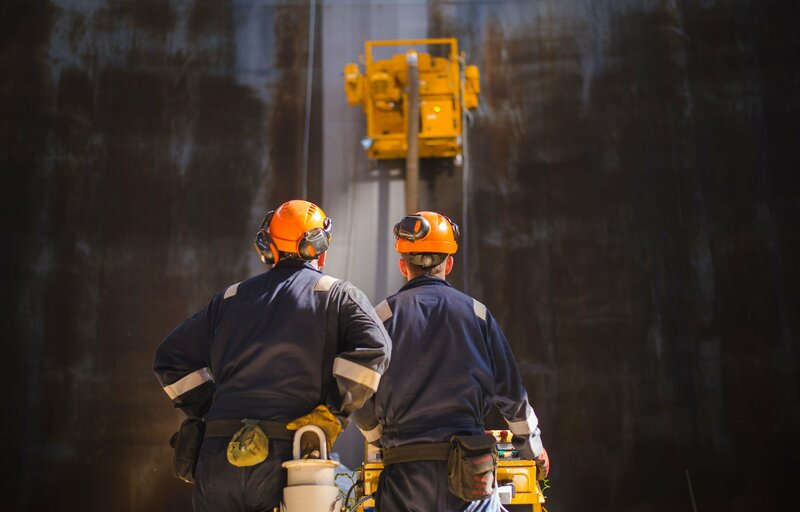 Regardless of the machine you chose to get the job done there are two important factors to consider to ensure the job is done right…. Understand and adhere to the correct compaction specifications to the project. All projects have a specific ground compaction requirement based on the project being built over the base surface. It’s important to know what the compaction specifications you are trying to achieve as directed by the project engineer or project manager. All engineers will have a specification of compaction based on the project they are building. To determine the required compaction specification a Standard Proctor Density Test is often requested by the engineer. This process is done in the lab to test the site soil density by applying various moisture content amounts to the soil and applying a controlled compaction method to determine the optimum compaction specification. When the optimum compaction rate is determined a nuclear gauge is used on the site after compaction to confirm the soil base meets specifications. A key factor in compaction is to remember that not all soil types are the same and can vary greatly from jobsite to jobsite. Soil differences like clay, sand, silt and gravel (or any combination thereof) has an impact on achieving the desired specification. If you fail to achieve your required compaction specification, or if you compact beyond the optimum compaction rate, you can decrease compaction and increase project risk on the site. A standard Protor Density Test provides the engineer the required compaction information, and the nuclear gage measures the results on the site to ensure the compaction meets specifications. For projects that don’t require a specific engineer specification, a general ‘rule of thumb’ spec. 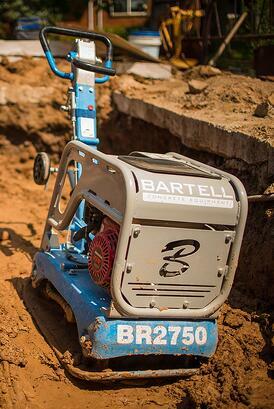 for compaction will often require a base of 1,000 lbs of compaction for every inch of material. This number will vary depending on the project being built over the surface, and the base mixture. If you are going to ensure a successful and long lasting project always know your base mixture and follow the required compaction specification for the project. Generally speaking either a rammer or plate compactor are capable of compacting the same types of material, but typically Rammers work better on cohesive material (materials that compress like clay) and Plate compactors are more effective on granular materials (like crushed stone). Both of these types of materials compact well, but have different ways of compacting. Granular materials ‘interlock’ as they compact, cohesive materials compress as they compact. Another factor in choosing the right tool often has to do with ease of use and accessibility. Rammers by nature are smaller and more light weight and achieve compaction by repeatedly ‘hitting’ the surface with the ‘shoe’ of the machine to compact. They are easy to get into tight areas like trenches and easy to transport onto jobsites using simple pickup trucks or small transport vehicles. Plate compactors are often used for larger wide open areas that can be accessed a little more easier. These units (depending on their size) are heavier and are often transported on equipment style trailers or trucks. 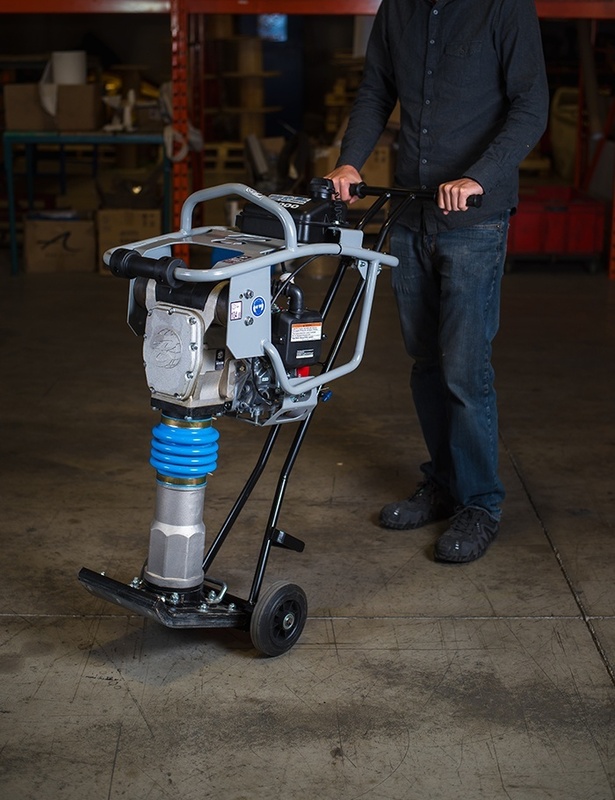 Compaction is a simple procedure but its important to know what compaction specification you are trying to achieve – testing for optimum compaction and pairing the right type of compaction equipment with the project job site to make sure things go smoothly, easily and to spec. If you are interested on a review on the differences between the two types of compaction machines click here to find more information: Click Here.